Congratulations! You’ve decided to redesign your kitchen. For a brief blissful moment you imagine the sweet sounds of sledgehammers tearing into outdated cabinetry and popcorn ceilings. Rather quickly and cruelly, giddy anticipation often turns to panic in the face of SO MANY impending renovation decisions. The kitchen design process can be a little overwhelming. We will show you in this article where to begin. FIND YOUR STYLE - Deep breath. 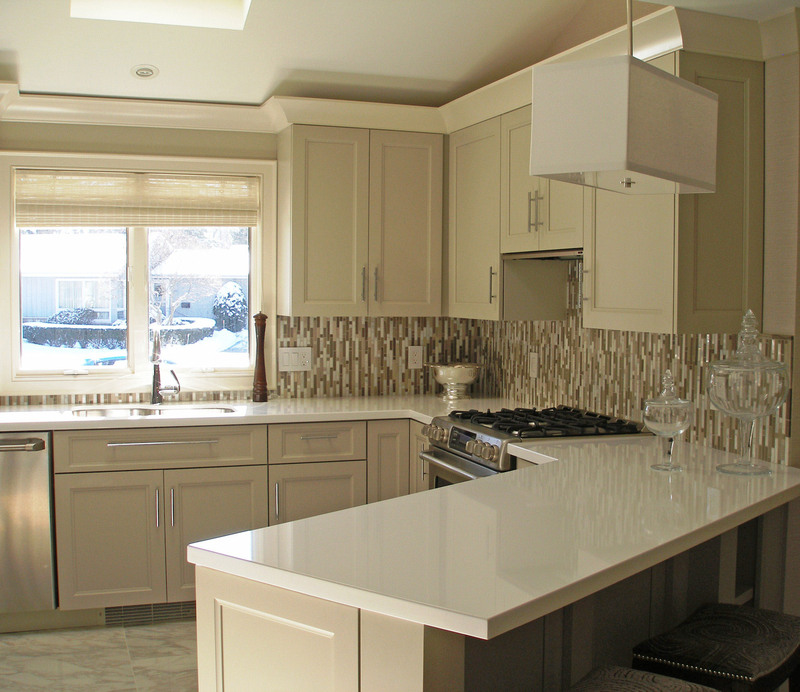 The best place to start when embarking on a kitchen redesign is to determine your style. Traditional kitchen? Contemporary style? Something in between? OK, you may think you know, but try this: collect photos of kitchens and spaces that speak to you. The resulting “albums” will uncover common threads to help you select cabinetry profiles, lighting, colors, and so much more. What you didn’t know about your tastes might surprise you. Jot down your ideas. Make a folder. Have some fun! WHERE TO LOOK - Magazines, pictures of friends' kitchens, Instagram, newspapers, Google image searches, cabinet manufacturer's websites. These are all good tools and places to start your kitchen planning. 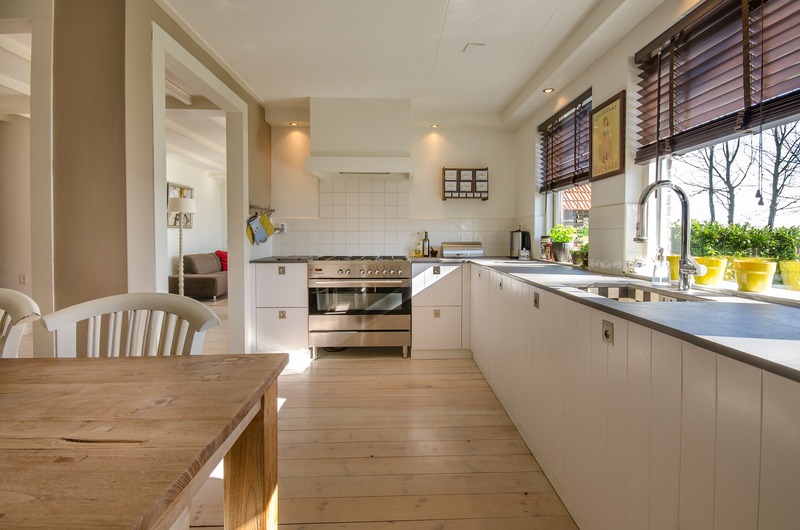 Websites like Pinterest and Houzz offer great collections of gorgeous kitchen photos. 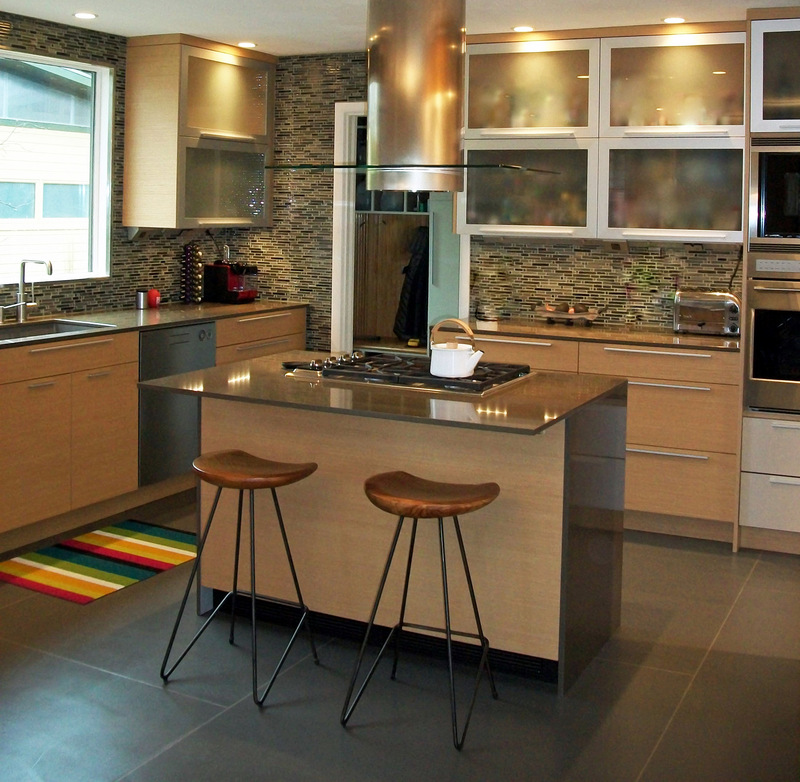 Create “books” and “boards” of what piques your interest while familiarizing yourself with kitchen design trends. 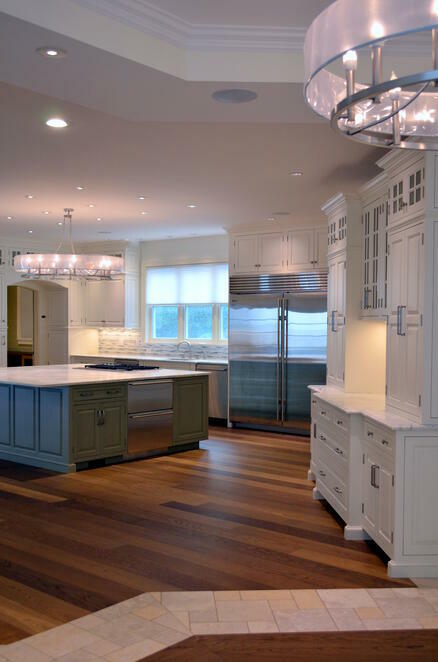 Discover what you love about kitchen cabinetry, island design, custom molding and more. Find a gorgeous color that makes your heart race? Save it. Could be the show stopping paint color for your new kitchen island. LOOK WITHIN – How, and who, will use your new kitchen? Are you and your spouse 6’-3” entertainers that need extra tall cabinets and ample space for dining and parties? Do you bake so much your friends call you “Cake Boss”? Have a houseload of kids? Teenagers? Empty nester? Maybe you have a dog at your feet for whom you’d like to carve a little under counter space. Consider too what’s working (or not) in your current kitchen. When you are ready for professional help, all of this information and your photo homework will be used by an experienced kitchen designer to help create the kitchen of your dreams. Stay tuned for our next installment - how to identify the right designer for your kitchen project. This modern custom kitchen by the General Woodcraft design team in New London, CT was wholly inspired by its dynamic homeowners. Our kitchen designers fell in love with their client's creative spirit and were driven to create a space that was unique and stylish without any hint of fuss or pretense. 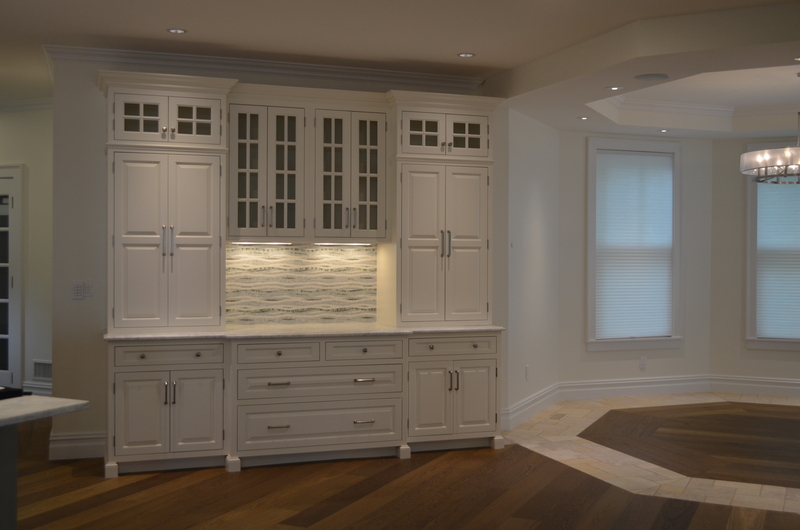 Kitchen design features custom cabinets by Signature Cabinetry. Lower: quarter sawn white oak with horizontal graining and nickel drawer pulls. Upper: stainless framed white upper cabinets with frosted glass. General Woodcraft Inc installed the polished Cambria countertops which also laminate the vertical ends of the custom kitchen island. Let our kitchen design team help you express your personality with a beautiful new kitchen. This is a lovely example of a simple and airy kitchen with organic ties. Bleached and weathered wood is quite popular in furniture and cabinetry right now. The organic warmth of the farmhouse table works nicely with the cool stainless steel appliances and simple white cabinetry. Transitional polished chrome Open shelving and mid-century modern furniture make this kitchen unique and welcoming.